dearly loved mist: Are You Acting Like a Brave Knight? Are You Acting Like a Brave Knight? 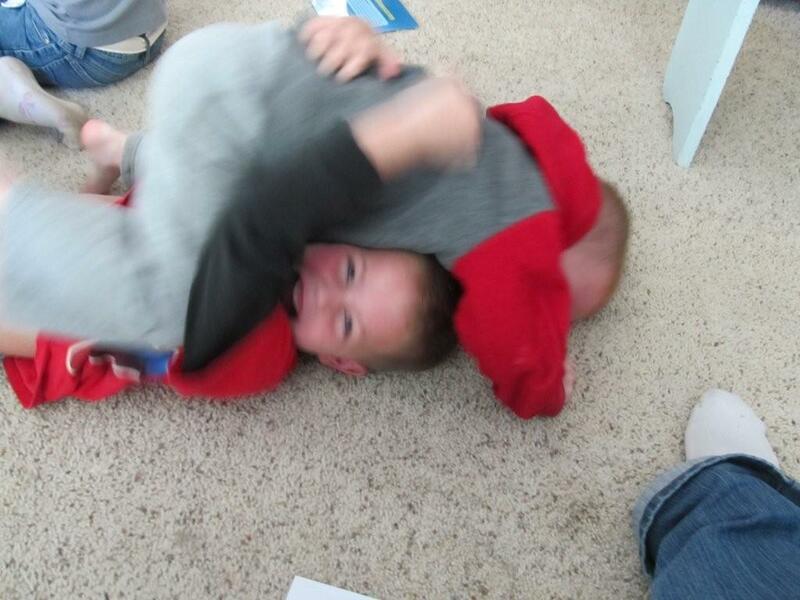 My boys love to wrestle and act wild and fight. Sometimes that fighting is "play", which I'm totally fine with, but sometimes that "play" turns into "not play" really quick. 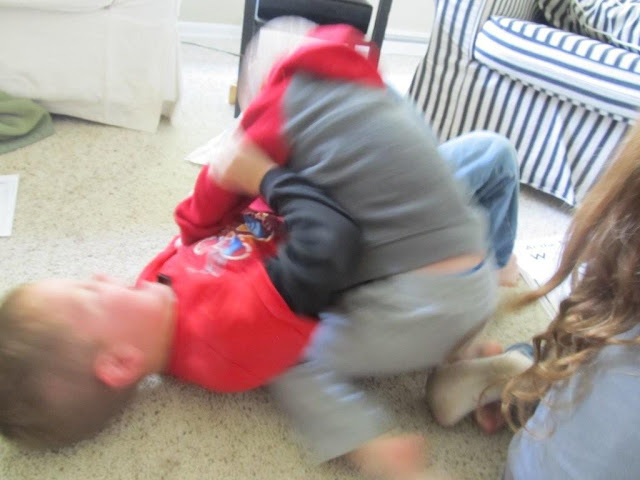 Just today, I heard them wrestling. 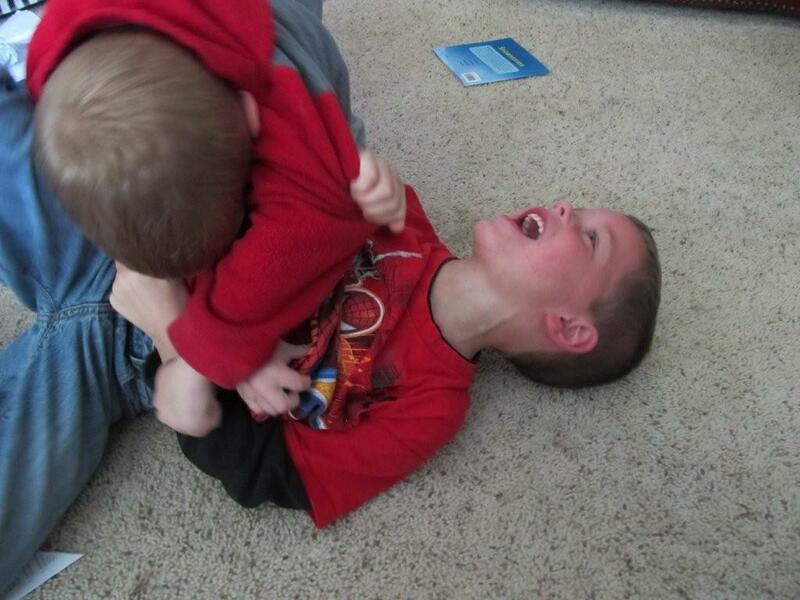 Shortly after the initial grunts and groans, Matthew came into the kitchen saying, "Jonny hurt me. On purpose!" and a little while later, "Jonny squeezed me!" I've always intervened and said things like, "Do not hurt your brother," and "You need to treat him like you want to be treated," and other such wonderfully wise, but usually ineffective-at-the-moment-words. I've also disciplined accordingly. However, I'm constantly on the look out for creative ideas to solve (or minimize) the "squeezing, hitting, hurting" problem that happens far too often at our house. So, when I read page 26 in the book Loving the Little Years by Rachel Jankovic, I just had to try her story idea out on my "brave knights". After this typical "He hurt me!" battle, I sat the boys down and told them a story of a brave knight dressed in shining armor. I told them that the King trusted the brave knight to protect the kingdom and the princess. Then I told them that the brave knight went out into the town and saw another brave knight, his trusted companion, and he smacked him on the head with his sword. Then he saw the beautiful princess and instead of protecting her, he pushed her down. Jonny and Matthew were looking at me with wide eyes. They couldn't believe the brave knight would act so mean to the people he was suppose to protect. They're getting it! I thought. We talked for a little bit longer about the brave knight and how he should act. I reminded them that they are "brave knights" and they need to protect each other, not hurt each other (or the princess of the palace - a.k.a. Emilia ;) ). They nodded their heads. Understanding completely.